As educators we know that schools should be safe places for ALL students. Yet, under the Trump administration, our students and their families are living with the fear of being torn apart at any moment. MTEA is joining with our students organized in Youth Empowered in the Struggle to defend against attacks on immigrant communities. We are gathering signatures in support of a school board resolution that would make MPS a sanctuary district. • Share students’ confidential information. A resolution put forth by school board directors Larry Miller and Tatiana Joseph will be before a school board committee on March 23. If it passes committee the resolution will move to the full board meeting for a vote on March 30, so please be prepared to attend this meeting in support. If you are interested in circulating a petition in support of the proposed resolution you can download the petition tear off card or sanctuary petition and return sign copies to the Milwaukee Teachers’ Education Association office located at 5130 W. Vliet St. or the Voces de la Frontera office located at 1027 S. 5th St.
A victory took place after nearly three years of fighting and resisting a state mandated and legislative takeover of Milwaukee Public Schools. Community members and educators stand proud as the first district in the country to successfully resist a state-mandated takeover. 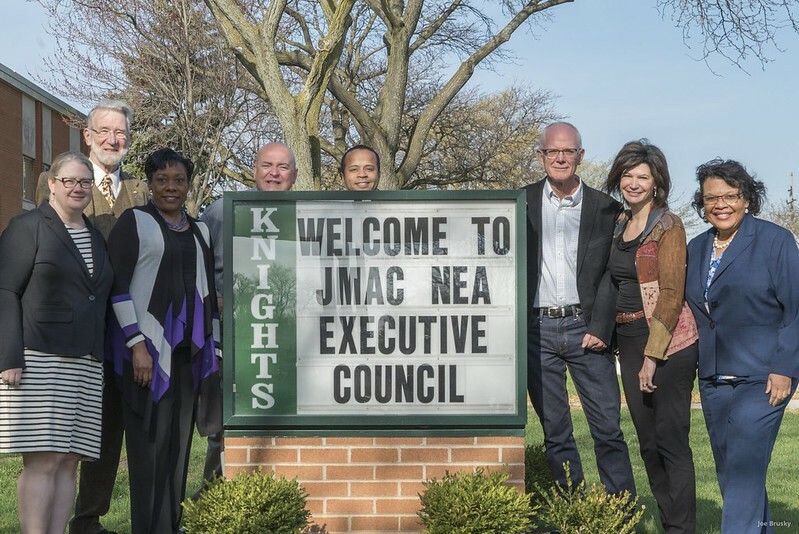 Milwaukee Teachers’ Education Association (MTEA) blended teacher quality and standards programs with political advocacy, internal growth and strength work, and led with partnerships and coalition building in the community. The state superintendent, Tony Evers, announced on October 12 that Milwaukee test scores have improved to such a degree that they no longer qualify for takeover under state statute. Through the Great Public Schools “lighthouse” grants NEA helped establish a teaching and learning department to improve teaching standards in the district. The MTEA teaching and learning department annually has three times more participants in its professional development programs than the district where members are paid to attend. The Teaching and Learning department at MTEA has been crucial in two important ways: first, it helped to grow and improve student outcomes which is evident in the increase in scores on the school report cards, and second, it helped to define the union as a place where educators need to go if they want to excel in their field. MTEA genuinely engaged members of the community, sought input, supported local issues; and garnered true community partnership in the resistance to privatization. By doing walk-ins, holding community forums, canvassing parents’ homes and engaging the community in the struggle, MTEA has created a model that other school districts that are under attack should replicate. If we don’t resist, we won’t win. Milwaukee has proven, even against all odds, that if you do resist, you can win. Today we welcome an important announcement on the status of the MPS Takeover plan. The Department of Public Instruction and MPS have shared that as a result of improved DPI scores, MPS is no longer at risk of takeover under the current legislation. The MPS Takeover legislation was one of the greatest threats to public education Milwaukee has ever seen. I applaud every member who worked tirelessly to fight this unjust law through grassroots organizing and direct action. 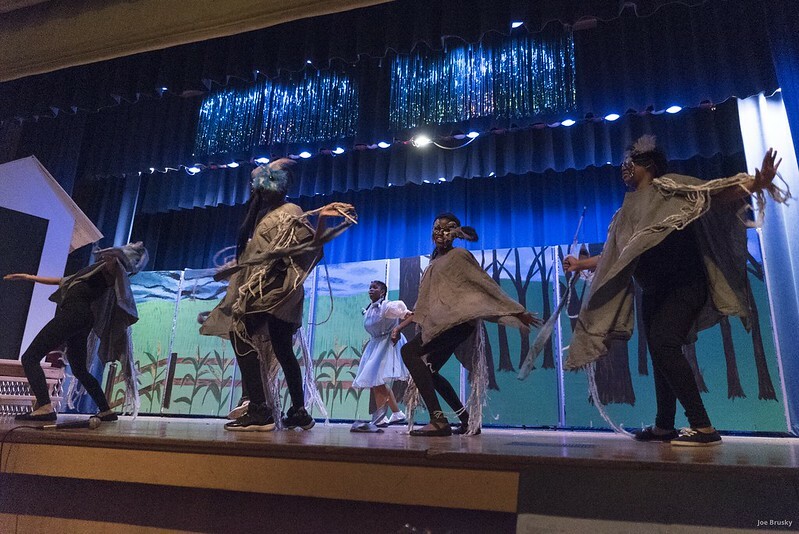 It is because of the dedication and commitment of MTEA members, parents, and community members, that our students are performing against all odds to overcome the effects of failed educational policies. We know what works in Milwaukee because we are seeing the results of positive, educator-driven initiatives like the Community School model. We see what happens in public schools when parents, communities, students, and educators are empowered to take ownership of their schools to ensure the success of every child. The takeover legislation, which threatened to take away local control, is another example of a failed policy created without the expertise of educators who work in our schools. Every child in Wisconsin has the right to a publicly funded, equitable, and democratically controlled public school and the MTEA is deeply committed to ensuring every child, regardless of their zip code, has access to the schools they deserve. MTEA members will continue to fight any attempts to threaten the public schools that have the commitment, capacity, and legal responsibility to educate all children. Wisconsin Education Association Council President, Ron “Duff” Martin sent a formal letter congratulating MTEA on the news from the Department of Public Instruction. How many books did you have published at the completion of first grade? Few people can claim five published works before they even step into second grade, but that’s exactly what the first grade students of Pierce Elementary have done. On Thursday morning, they invited family to school to join them for a book signing celebration. The students arrived to the gym to find a red carpet laid out for them leading to the head table where they would be signing their books. The students welcomed family members to their book signing celebration and described some of the things they learned about the writing process. The students delivered their completed books to their loved ones, while singing. Very few had dry eyes during this moving presentation. Mrs. Haack, the students teacher, spoke along with several other speakers congratulating the students on their tremendous achievement. And finally the moment the students have been waiting six months for…time to sign! Like any great celebration, the students ended with cake. Pierce Classroom Book Signing Celebration from MTEA Union on Vimeo.